On November 1, 1996, exactly 22 years ago today, NBA history was made when the Philadelphia 76ers played against the Milwaukee Bucks. It was the beginning of the Allen Iverson era. Iverson is considered one of the most groundbreaking players in NBA history. His skills, unique style, and devastating crossover–to go with his 6’0” frame–put him in the same breath with some of the all-time greats. Iverson went toe-to-toe with many of them, and never backed down from a fight. 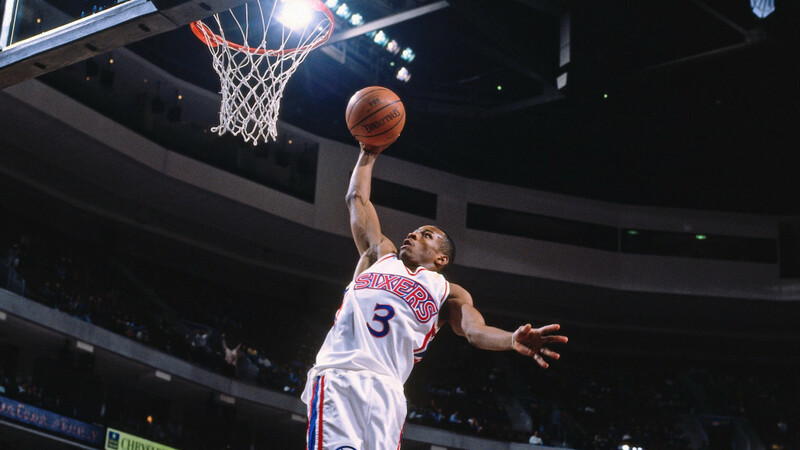 Not only was Allen Iverson basketball skills one-of-a-kind, but so was the way he represented himself on, and off the court. Throughout his career, Iverson was known for arriving to post-game interviews or games he sat out in wearing his street clothes. In 2005, the NBA implemented a dress code because of players like Iverson. His baggy, hip-hop-styled clothed were considered unprofessional for the league. This may be a bit of a reach, but I consider The Answer as the first real global superstar of the modern era. Back to this specific night on November 1, 1996. 10-year old me was watching the game and got to witness one of the greatest rookie debuts in NBA history. In a losing effort, Iverson scored 30 points on 12-19 shooting from the floor, while adding six assists. Later that year, on Christmas Morning, I got to unwrap my first Allen Iverson jersey. The beginning of the Allen Iverson era. Wizards Played Iggy Azalea Song After Nick Young’s Missed Three – SAVAGE!